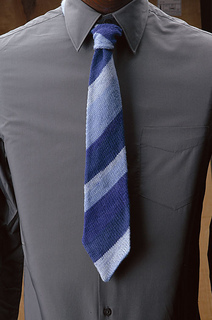 This quick-to-knit, classically styled tie is sure to find its way to the office, church or anywhere a man wears a tie. 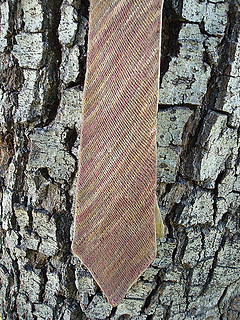 Self striping sock yarn does the work and you never have to change colors. 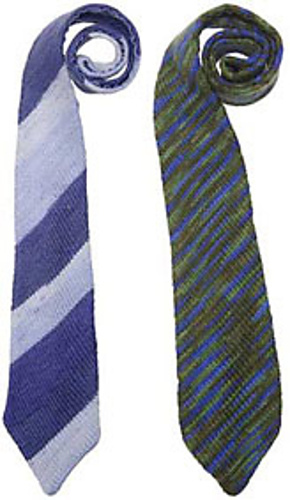 With the variety of colors, the ties will match many shirts in his wardrobe, and it is an economical gift idea using less than one ball of yarn.